AMD’s top chip architect Jim Keller has confirmed during the AMD’s Core Innovation press conference that they are developing a new high-performance x86 core which will replace the current high-performance x86 cores that include Steamroller, Piledriver and Bulldozer. TechReport has revealed this interesting news which proves that the article we wrote yesterday has some truth to it and AMD is indeed developing several new cores as revealed in their Opteron roadmap today. While ARM, K12 and Steamroller would be powering several x86 and 64-bit chips between 2014 to 2016, the company will also prepare a new high-performance core that will reignite the legacy of AMD’s x86 cores with a architecture built from the ground up. In the news posted by our very own Usman Pirzada, we detailed how AMD will be ditching their existing modular architecture and go for the Simultaneous Multi Threading (SMT) design. SMT or Simultaneous Multi Threading is a technology whose roots trace back to IBM in the 1970s. However most prominently it is the technology that Intel has employed for a decade, i.e. the force behind Hyper-Threading. AMD also revealed a technology of its own to rival Intel’s SMT and unlike its rival it was Modular in Nature. This technology was homebrewed by AMD and was called the CMT or Clustered Multi Threading. However even at the time that CMT was revealed, critics pointed it out as an unfeasible idea. With Jim Keller onboard, AMD is finally developing a new core architecture that’s built from scratch and means that AMD won’t make the same mistakes they made with Bulldozer. The architecture is still far from being ready and we are looking at a launch scenario of atleast 2016-2017 so that’s still a long time to go from where we are currently. 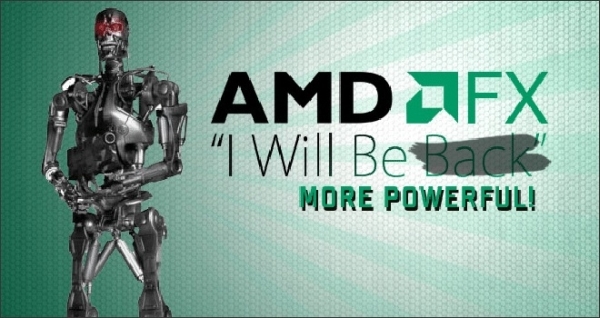 It is likely that if AMD succeeds in developing the new cores in time, then we won’t see AMD’s fourth generation modular x86 Excavator cores in 2015 since AMD will skip it for the new core introduction otherwise AMD’s 2015 line of APUs will stick with Excavator which will be the last modular AMD core before it hops onboard the SMT design. Performance numbers are a mystery and so is the codename but atleast we got a conformation from AMD that they haven’t abandoned the high-performance desktop market at all. AMD has several APUs planned for Opteron and desktop lines with new cores but one can now imagine much faster next generation desktop processors and APUs which will fuse AMD’s next high-performance x86 core architecture.